As you look into the many avenues out there to provide care for your aging loved ones, this is probably a question that has come to mind a few times – and it’s a very important one to consider. What should you be looking for in a caregiver or companion? What’s important to know as you do research, and sit down for interviews? Let’s see if we can help put your mind at ease! Below, we’ll talk about the advantages of home care, and why it might be the right fit for your family. Then, we’ll talk about the characteristics and qualities that make someone well-suited to caring for others, by sharing what we look for here at Companions for Seniors. Many older adults express a desire to stay in their own homes as they age. Non-medical home care is one way to help your loved one age in place, allowing them to get the attention and care they need in the comfort and security of their own home. Helping your loved one stay in their own residence is often less expensive than moving them into pricey, institutionalized care, while also allowing them to live with greater freedom, flexibility, and comfort. What Sets Our Companions Apart? At Companions for Seniors, our Companions help to stimulate our clients mentally, physically, emotionally, and spiritually. We help seniors maintain a higher quality of life, while also providing respite and peace of mind to a family caregiver who may need some support. 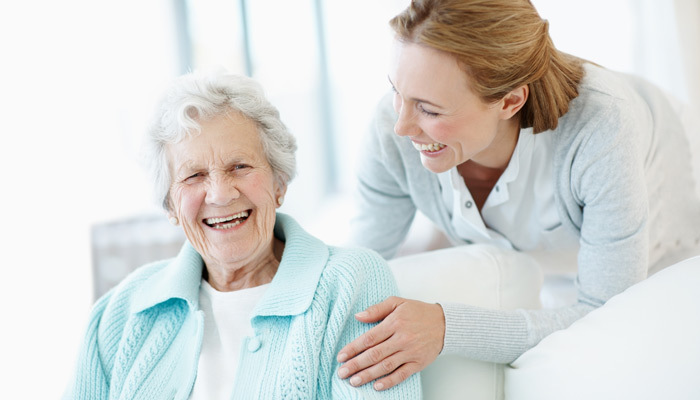 Our mission is to help seniors live independently and with dignity in the comfort of their own home, by empowering them to lead an active and enriched lifestyle, connecting them with their community, and nurturing meaningful relationships. We speak a lot about “finding the joy in caregiving” – for the caregiver, and for the person being cared for. At Companions for Seniors, our Companions are passionate about caregiving, and truly find fulfillment and joy in this important duty. Many of our Companions come to us because they have prior experience caring for a loved one, which gave them the drive to be of service to others who need help. Our Companions recognize that being able to connect with and be a support system for their clients is one of the most amazing experiences they can have. Our Companions bring many unparalleled skills to the table – chief among them, their boundless reserves of compassion, empathy, and patience. Our Companions are able to put themselves in their clients’ shoes, so that they can truly connect and understand what they’re going through and adjust their care to suit their personal needs. At the same time, our Companions are attentive to their clients’ wants and needs, and respond with patience and attention to detail every time. We truly get to know the seniors in our care. Our Companions recognize when it’s time to sit still and just be with their client, and are also able to “step out of their shell” and share stories, listen, and embrace new experiences. In caring for a senior, every moment matters. A gap in care and attention could lead to serious consequences. Our Companions recognize this, and know the importance of being flexible, reliable, and dependable. Whether full-time or part-time, you can count on our Companions to be there when they say they’ll be, and available when you need them most. Our Companions know the importance of putting their clients’ needs first, and are happy to adapt to changes and be accommodating. When you bring on in-home care, you’re inviting someone new to enter your home, and provide support and care for your loved one when they’re in a vulnerable position. Our Companions are responsible and trustworthy, and will always provide service ethically and to the very best of their ability. Our Companions are trustworthy, and always bring 100% of their care and attention to each client. They are able to be persistent and take charge, know when to listen, and always take care to leave negativity and outside distractions at the door. As you weigh your options and consider different care options for your loved one, one question that may come up is: “How do I know if this person is qualified?” At Companions for Seniors, we can offer assurances that our Companions are up to the job. We perform thorough background checks on all candidates, and our Companions are trained, bonded, and insured. If your senior needs driving services, our Companions can provide transportation in the comfort of an insured company car. We also believe in the importance of keeping up communication, so that as a client’s situation or needs change, so does our plan of care. Have any more questions or concerns? Do you have a loved one that you believe could benefit from the assistance of an experienced, attentive caregiver? Please don’t hesitate to reach out to one of the professionals at Companions for Seniors by giving us a call or filling out our form, available here.